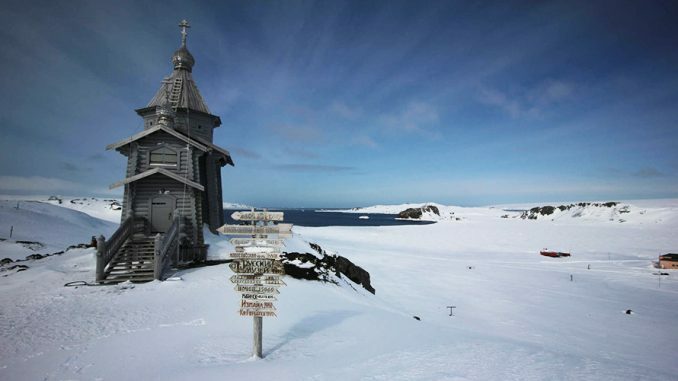 A bizarre report from the Kremlin says that Patriarch Kirill has performed a strange ritual in Antarctica this week at the mysterious ‘Ark of Gabriel‘, reading a secret text given to him by Pope Francis. The “Ark of Gabriel” was first discovered in Mecca on 12 September 2011 by a construction crew tunneling under the Masjid al-Haram Mosque, who were all tragically killed by a “plasma emission” when they attempted to unearth it. Even worse on 24 September 2015, during a second attempt to unearth the mysterious “Ark of Gabriel”, another massive “plasma emission” killed an estimated 4,000 more people—but which Saudi officials blamed on a stampede.